PSD2, the short for Directive (EU) 2015/2366 on Payment Services in the Internal Market, is a very interesting subject for the EU market – consumers, companies and financial institutions alike. Why does it concern managers like you? Because it is meant to bring financial entities closer to each other in a joint effort to make it easier for people and companies to handle their money. In short, under the Directive’s statement, licensed third party providers (TPPs), with the customer consent, gain access to some bank account information that enables them to initiate payments. This means mostly that if you are a business based in the EU who has three accounts opened at three different banks and you need to operate payments from each account, you won’t have to access three online banking platforms anymore; instead, you would make the payments from one TPP account, which would be connected to the three banks. Also, there will be an emphasis on security elements, mostly imposed on Payment Service Providers who would require extra authentication elements such as biometrics. Why is this convenient to business owners? First, it saves time by using aggregation platforms with a cross-bank view; payments and money transfers are made faster and easier. Second, it saves money by eliminating some transaction fees and interbank commissions. Third, financial operations become more transparent and you gain more control over the cash flow. Moreover, there will be increased added value to financial services due to the market opening and the raising competition. The customer experience may improve, as technology will act as a supporting, life-easing factor in a rather uncomfortable area: money management. What does this have to do with cash flow? A lot. 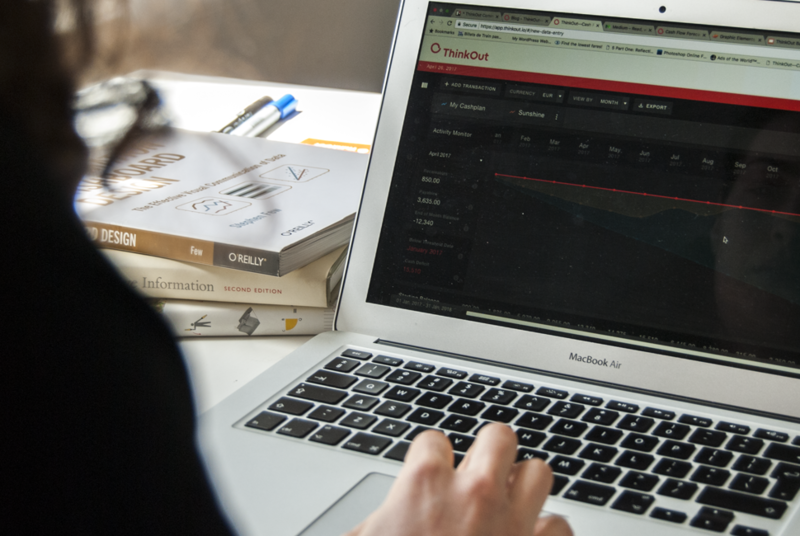 And with ThinkOut in particular, as a platform for cash flow management. Just Imagine how fast and easy would become to track and plan the business cash flow. By importing bank account statements, you can fill in transactions in no time and work with an up-to-date cash plan. Moreover, you could pay all the company’s expenses directly from the ThinkOut account where you have planned them, without having to switch to the online banking platform. One account, many cash flow functions: tracking, updating, planning and paying. To be honest, we cannot wait for the PSD2 to be implemented. We’ll just have to wait until the implementation methodology becomes more clear; meanwhile, we are getting ready.